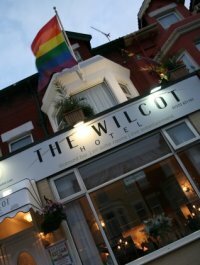 The Wilcot Hotel is a Gay and lesbian friendly hotel in the heart of the gay scene in Blackpool. Close to Funny Girls, Flamingos and all the gay bars and clubs. Bed and Breakfast accommodation. Terry welcomes you to The Wilcot Hotel. Being a Gay Hotel in the North Shore, minutes from the Sea Front, Bus and Railway Stations, and near to the famous Funny Girls, Flamingo Club , Mardi Gras and many more pubs and clubs makes it a great place to stay. The Wilcot Hotel is a Modern, Stylish, Relaxed hotel offering excellent value for money, which is probably why many Guests return time after time. The Willowfield Guest House is situated in a most favourable position, close to Beach, Blackpool Tower, North Pier, Town Centre and Funny Girls. 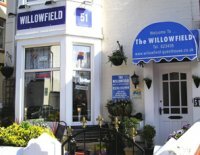 The Willowfield guest house is situated in a most favourable position, close to the Beach, the famous Tower, North Pier, Town Centre Shops and Gynn Gardens. We are only 200 yards from North Railway Station and Talbot Road Bus Station, all major clubs and night clubs are within close proximity including the fabulous new Funny Girls complex. 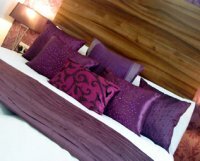 The Willowfield has accommodation to suit your requirements including single, double and twin rooms.